With larger and larger media file sizes and higher-capacity cameras (see Digital Photo Pro’s “Managing Your Image Archive”), storage solutions are becoming more important than ever. 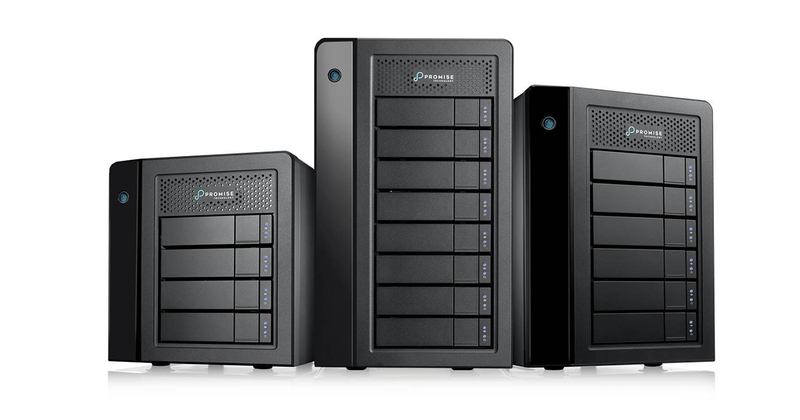 Promise Technology has just announced that its Pegasus3 desktop RAIDs are now customizable. The Thunderbolt 3 40 Gb/s storage solutions can be custom-configured to meet the individual needs of photographers, videographers and other users, whether workflow focus is on performance, redundancy or capacity, or a combination of all three elements. Creatives can mix superfast solid-state drives with high-capacity HHDs in a single Pegasus3 unit to process today’s high-res media files, whether those are images or video files. Options for the “Build Your Own System” include 1 and 2 TB SSDs and 3 TB, 4 TB, 6 TB, 8 TB and 10 TB traditional hard drives. Start your configuration journey at the Promise Technology online store, with prices beginning at around $1,499. MILPITAS, Calif., January 10, 2018 – Promise Technology Inc., a leading storage solutions provider for creative and IT applications, today announced that customers will now have the option to custom-configure its industry-leading Pegasus3 series of Thunderbolt™ 3 desktop RAID storage solutions. Creative professionals seeking speed, redundancy and higher capacities can use the new platform – found at Promise’s eStore – to create the exact configuration needed for their workflows. Until now, customers looking for high-quality Thunderbolt storage systems could only buy the configurations manufacturers offered. Promise has given them the freedom to purchase the exact solution to fit their needs – all with the same superb reliability and support that they have come to expect from Promise. By mixing blazing fast SSDs with high-capacity HDDs in the same Pegasus unit, customers are free to focus on what matters most to them – performance, redundancy or capacity – or a combination of all three. Highly optimized for lightning-fast 40 Gb/s Thunderbolt 3 performance and content protection, Promise’s Pegasus3 solutions deliver the speed required for generating high-resolution video and rich media content while offering the safety and security of full-featured RAID protection. Price varies based on options selected, with custom-configured Pegasus3 models starting at approximately $1,499. Custom Pegasus3 solutions are available in North America only. For more information, please visit promise.com or Promise’s eStore and follow Promise Technology on LinkedIn, Facebook or Twitter. *Thunderbolt and the Thunderbolt logo are trademarks of Intel Corporation or its subsidiaries in the U.S. and/or other countries.